While archiving significant film costumes is now commonplace many gems of the first century of film are lost. More to the point, many efforts to preserve these pieces as collections have failed despite huge collector interest. The reason comes down to a historic failure to recognise the significant contribution of the female-dominated world of costume in the male-dominated film industry. Film costumes occupy an unconventional space in material culture: part fashion history and part icons of popular culture. According to Deborah Nadoolman Landis – now at the top of the profession with such successes as Raiders of the Lost Ark – in the early years of cinema actors often wore their own clothes if the film was set in a contemporary period and this set the precedent for the dimished role of the costume designer. “Nothing that appears on screen is casual or accidental – every single accessory and costume is a deliberate choice made by the designer and, ultimately, the director,” she said after curating an exhibition of Hollywood costume at the V&A. 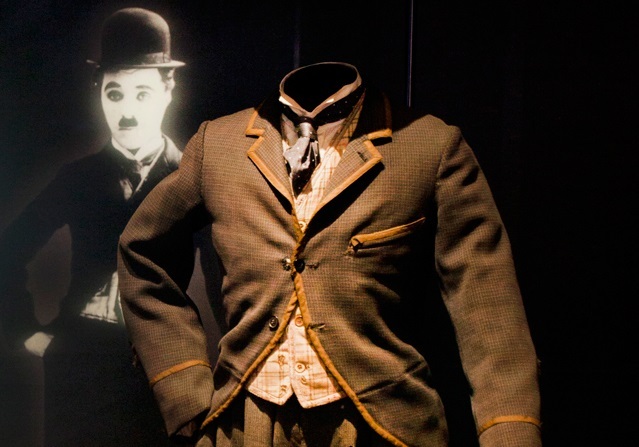 One of the most significant controversies of Hollywood costume in recent years with a growing awareness of the importance of costume in culture was the 2011 auction of Debbie Reynold’s collection of 5000 items. She spent decades trying to sell investors the idea of building a museum in Los Angeles that would house her remarkable archive – including what became some of the most expensive film costumes ever sold including Charlie Chaplin’s hat and Audrey Hepburn’s Ascot dress from 1964’s My Fair Lady. She saved many items from multiple clearances like when Fox and Paramount began to auction off items in the 1970s. Whenever possible Reynolds would buy not only the costumes from classic films but also entire sets from certain scenes so “I could reconstruct and re-create the set so you would have the whole look,” she said. Certainly costumes have historically been seen as a superfluous decoration compared to the arts of acting and cinematography and so it is no wonder that big investors could not share Reynold’s vision of a historical and art-based museum dedicated to the work of the seamstress. Because of that lack of recognition of costumes as great works of art even iconic pieces like Sebastian Flyte’s suit from Brideshead Revisited – judged one of the top TV adaptions of all time – can be picked up on Ebay for less than a high street outfit. Most of these pieces simply went back into storage to be adapted and used in future productions. Gwen Russell told The Costume Rag how the dress she made for Michelle Pfeiffer in Dangerous Liaisons was broken down to be used in Last of the Mohicans. This problem persists in the modern theatre as Donatella Barbieri, V&A Research Fellow in Design for Performance, gave a fascinating example of how theatre critics focus on actors and set designers despite the fact that publicity photos highlight costumes. Clearly this academic interest is starting to work its way into mainstream culture. The Costume Rag considered how the BBC’s 2018 series A Stitch in Time suggested a strong public interest in how historical costumes are made. 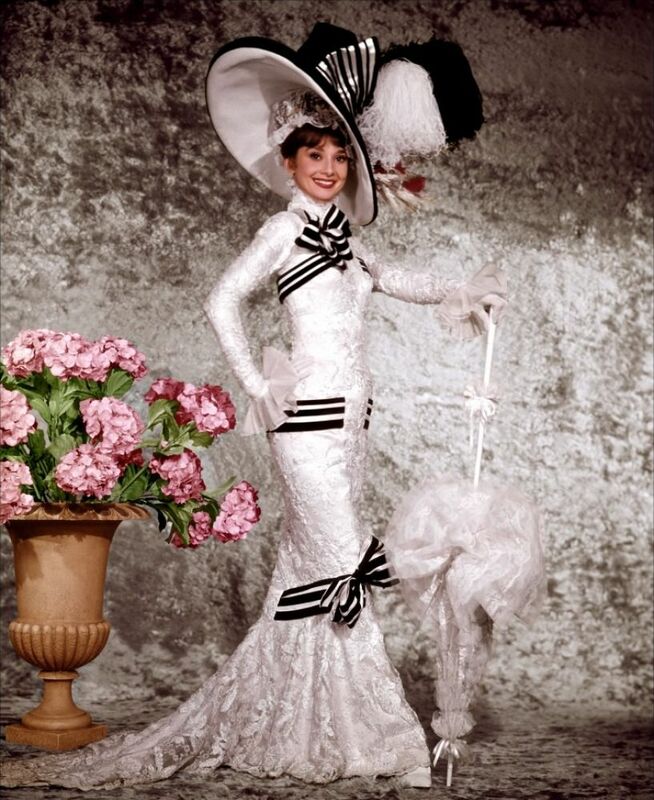 And as for Audrey Hepburn’s Ascot dress, it reportedly sold for just $100,000 around the year 2000. When Reynolds sold it, having failed to convince investors to fund a full museum, the final price was a massive $3.7 million. Maybe soon her dream will come true and symbiotically as costumes are valued as precious icons of culture, so too will their makers be hailed as the skilled artisans they deserve to be.